Politicians are always campaigning. They run campaigns to get votes to win their political office or seat. They run campaigns to win votes to keep their political office or seats. It does not matter if the politician is running for local, state or federal office, a politician is always communicating with the voters, and much of that communication is in the language of campaigns. In order to understand what a politician is saying, however, students might need to become familiar with campaign vocabulary. Explicit teaching of election terms important for all students, but particularly important with English language learners (ELs, ELLs, EFL, ESL). That is because campaign vocabulary is filled with idioms, which means "a word or phrase that is not taken literally." 1. 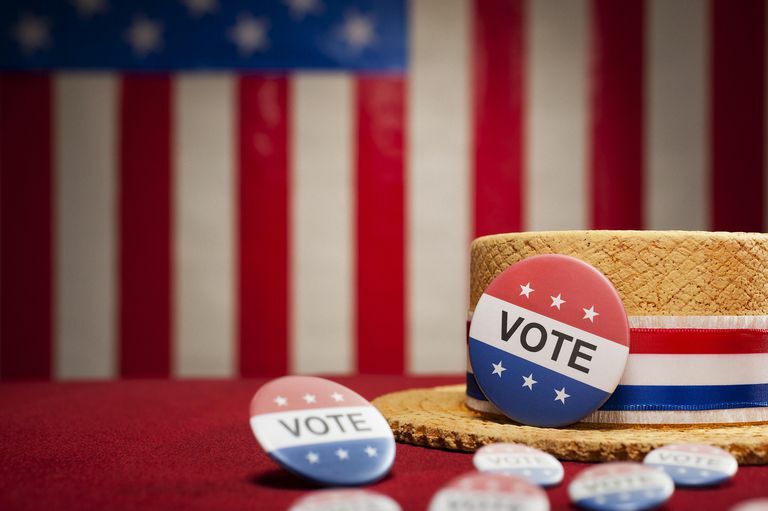 Provide these election idioms in context: Have students find examples of idioms in speeches or campaign materials. 2. Stress that idioms are in most often used in the spoken form, not written. Help students to understand that idioms are conversational, rather than formal. Have students practice the idioms by creating sample conversations that they can share to help them understand. Jack: I have to write my top two issues that I would like to debate.For one of the issues, I am thinking of choosing Internet privacy. Some politicians see this issue as a "political hot potato." Jane: Mmmmm. I love hot potatoes. Is that what's on the menu for lunch? Jack: No, Jane, a "political hot potato" is an issue that can be so sensitive that those taking a stand on the issue could risk being embarrassed. Convention means: "a meeting or formal assembly, as of representatives or delegates, for discussion of and action on particular matters of common concern"
Bounce means: "a sudden spring or leap"
The term convention bounce does not mean that the one of the actions the representatives or the entire assembly performed was a spring or leap. Instead convention bounce means "the surge of support that U.S. presidential candidates in the Republican or Democratic party typically enjoy after the televised national convention of their party." Teachers should be aware that some of the idiomatic vocabulary is also cross-disciplinary. For example, "personal appearance" can refer to a person's wardrobe and demeanor, but in the context of an election, it means "an event that a candidate attends in person." 4. Teach a few idioms at a time: 5-10 idioms at a time is ideal. Long lists will confuse students; not all idioms are necessary to understand the election process. Once they understand the meaning of the word, students can research a particular candidate's record in the news or on websites such as Ontheissues.org. "....[student] civic engagement requires knowledge of the history, principles, and foundations of our American democracy, and the ability to participate in civic and democratic processes" (31). Helping students understand the language of political campaigns- our democratic processes -makes them better-prepared citizens in the future when they exercise their right to vote. 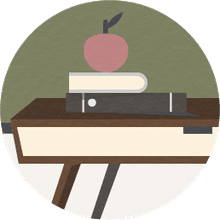 This free software gives teachers and students a variety of modes: specialized learning mode, flashcards, randomly generated tests, and collaboration tools to study words. On Quizlet teachers can create, copy, and modify vocabulary lists to suit the needs of their students; not all words need to be included. The following list of idioms is also available on Quizlet: "Political Election Idioms and Phrases-Grades 5-12". 1.Always a bridesmaid, never a bride: used to talk about someone who is never the most important person in a situation. 2.A bird in the hand is worth two in the bush: Something of some value that on already has; not risking what one has for (im)possibilities. 3.Bleeding Heart: A term describing people whose hearts "bleed" with sympathy for the downtrodden; used to criticize liberals who favor government spending for social programs. 4.The buck stops here: said by someone who is responsible for making decisions and who will be blamed if things go wrong. 5.Bully Pulpit: The Presidency, when used by the President to inspire or moralize. Whenever the President seeks to rouse the American people, he is said to be speaking from the bully pulpit. When the term first came into use, "bully" was slang for "first rate" or "admirable." 6.Caught between a rock and a hard place: in a very difficult position; facing a hard decision. 7.A chain is only as strong as its weakest link: A successful group or team relies on each member doing well. 8.Cheat/fool me once, shame on you. Cheat/fool me twice, shame on me! : After being tricked once, one should be wary, so that the person cannot trick you again. 9.Close only counts in horseshoes and hand grenades: Coming close but not succeeding is not good enough. 10.Closing the barn door after the horse escapes:If people try to fix something after the problem has occurred. 11.Convention Bounce: Traditionally, after the official convention of the party of a US Presidential candidate during an election year, that party's nominee would see an increase in voter approval in polls. 12.Do not count your chickens before they hatch: you should not count on something before it happens. 13.Do not make a mountain out of a molehill: meaning it's not that important. 14.Do not put all your eggs in one basket: to make everything dependent on only one thing; to place all one's resources in one place, account, etc. 16.The end justifies the means: A good outcome excuses any wrongs committed to attaining it. 17.Fishing Expedition: An investigation with no defined purpose, often by one party seeking damaging information about another. 18.Give him/her enough rope to hang him/herself: I f one gives someone enough freedom of action, they may destroy themselves by foolish actions. 19.Hang your hat: to depend on or believe in something. 20.He who hesitates is lost: One who cannot come to a decision will suffer for it. 21.Hindsight is 20/20: A perfect understanding of an event after it has happened; a term usually used with sarcasm in response to criticism of one's decision. 22.If at first you do not succeed, try and try again: Don't let a first-time failure stop further attempts. 23.If wishes were horses then beggars would ride: If people could achieve their dreams simply by wishing for them, life would be very easy. 25.It is not whether you win or lose, it is how you play the game:Reaching a goal is less important than giving our best effort. 26.Jumping on the bandwagon: to support something that is popular. 27.Kicking the Can down the Road: a delaying of a difficult decision made by passing short and temporary measures or laws instead. 28.Lame Duck: An officeholder whose term has expired or cannot be continued, who thus has lessened power. 29.The lesser of two evils: The lesser of two evils is the principle that when faced with selecting from two unpleasant options, the one which is least harmful should be chosen. 30.Let us run it up the flagpole and see who salutes: to tell people about an idea in order to see what they think of it. 31.Opportunity only knocks once:You will only have one chance to do something important or profitable. 32.A political football: A problem that doesn't get solved because the politics of the issue get in the way, or the issue is very controversial. 33.A political hot potato: Something potentially dangerous or embarrassing. 34.Politically correct/incorrect (PC): To use or not use language that is offensive to some person or group - often shortened to PC. 35.Politics makes strange bedfellows: Political interests can bring together people who otherwise have little in common. 36.Press the flesh: to shake hands. 37.Put my foot in my mouth: to say something that you regret; to say something stupid, insulting, or hurtful. 38.Reach Across the Aisle: A term for making an effort to negotiate with member(s) of the opposite party. 39.Skeletons in the closet: a hidden and shocking secret. 40.The squeaky wheel gets the grease: When people say that the squeaky wheel gets the grease, they mean that the person who complains or protests the loudest attracts attention and service. 41.Sticks and stones may break my bones, but names will never harm me: Something in response to an insult which means that people cannot hurt you with bad things they say or write about you. 42.Straight as an arrow: Honest, genuine qualities in a person. 43.Talking Points: A set of notes or summaries on a particular topic that is recited, word for word, whenever the topic is discussed. 44.Throw in the towel: to give up. 45.Throw your hat into the ring: to announce your intention of entering a competition or election. 46.Toe the party line: to conform to the rules or standards of the political party. 47.To get on/off your soapbox: To talk a lot about a subject you feel strongly about. 48.Vote with your feet: To express one's dissatisfaction with something by leaving, especially by walking away. 49.Where there is smoke, there is fire: If it looks like something is wrong, something probably is wrong. 50.Whistlestop: a brief appearance of a political candidate in a small town, traditionally on the observation platform of a train. 51.Witch Hunt: A vindictive, often irrational, investigation that preys on public fears. Refers to witch hunts in 17th century Salem, Massachusetts, where many innocent women accused of witchcraft were burned at the stake or drowned. 52.You can lead a horse to water but you can not make it drink: You can present someone with an opportunity, but you cannot force him or her to take advantage of it. 53.You can not judge a book by its cover: something that you say which means you cannot judge the quality or character of someone or something just by looking at them.